Robert Archibald Colpitts, 709672 was born in Liverpool, England and was born July 4, 1893. He was the son of George W. and Margaret (Gardiner) Colpitts. He enlisted with the 104 Battalion on November 3, 1915. His occupation at the time of attestation was listed as a farmer. He was listed as Missing in Action and presumed dead during the Battle of Hill 70 while fighting with the 26th New Brunswick Battalion on August 15, 1917. He has no known grave and is commemorated on the Vimy Monument :Pas de Calais, France. A Memorial Plaque was crafted in his honour with an excellent write up and can be found here. 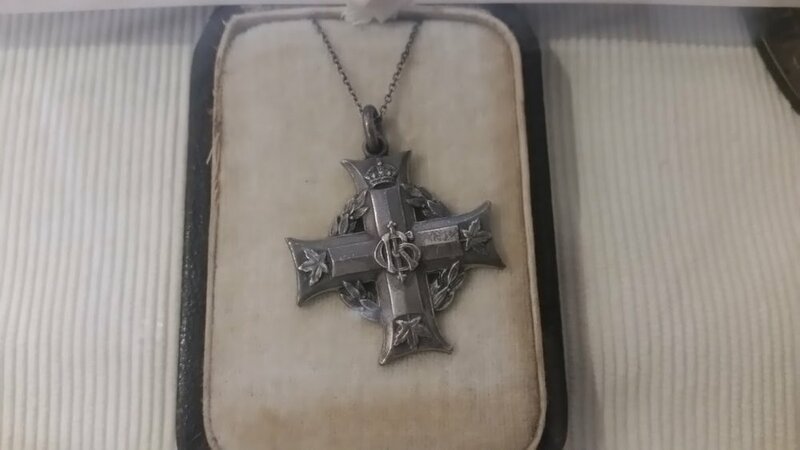 The museum is also fortunate to have his mother's silver cross medal, which can be viewed at the museum.